This post was sponsored by S&W Beans and all opinions expressed in my post are my own. 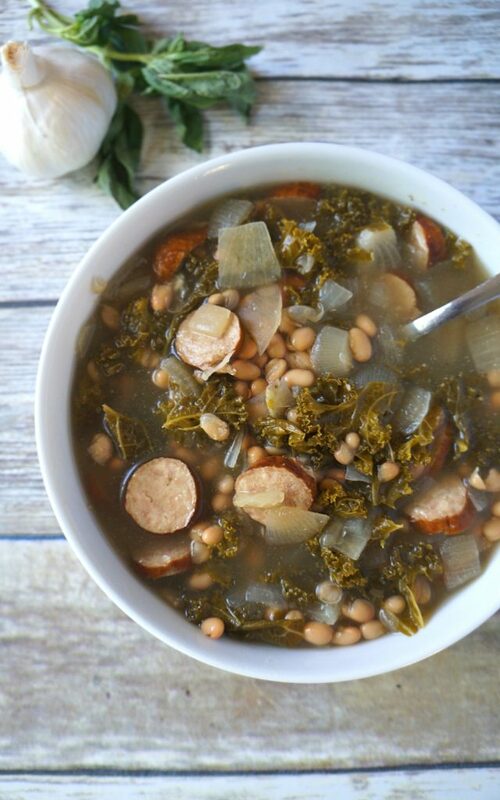 This slow cooker chicken sausage kale and white bean soup recipe is the perfect warm and hearty weeknight meal! What do your weeknights look like? 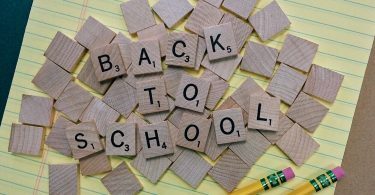 Around here, the kids have gone back to school, I am working hard, and we’ve got homework and extracurricular activities every single day! When all is said and done, it’s almost time to go to sleep and do it all again, and I often find that we are OUT OF TIME. 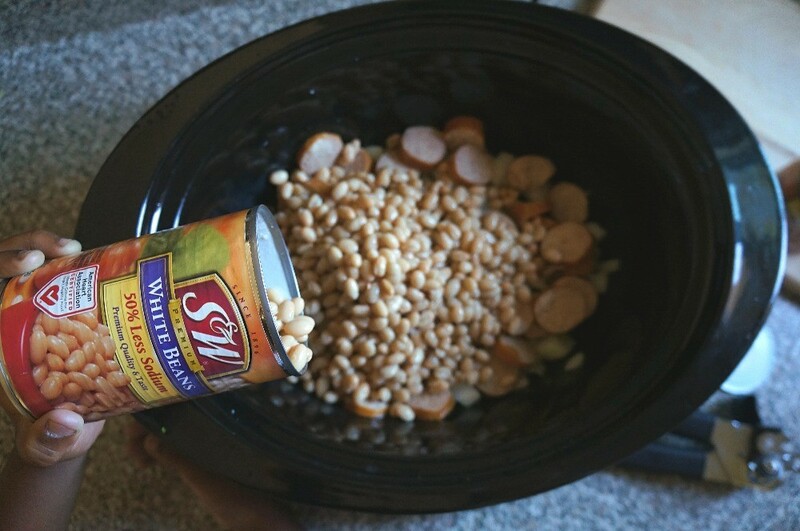 Since I still have to feed the kids, I have been coming up with ideas for quick, easy healthy weeknight dinners and this chicken sausage and white bean soup is our new favorite! This warm, hearty soup recipe uses smoked chicken sausage, fresh kale, and S&W Premium White Beans. S&W Beans makes it so easy to make delicious, protein packed meals for my family during the week. Adding beans to any recipe is a quick and convenient way to make healthier meals for my family, and that is important to me. There are so many ways to cook with beans, and soups are one of the best. 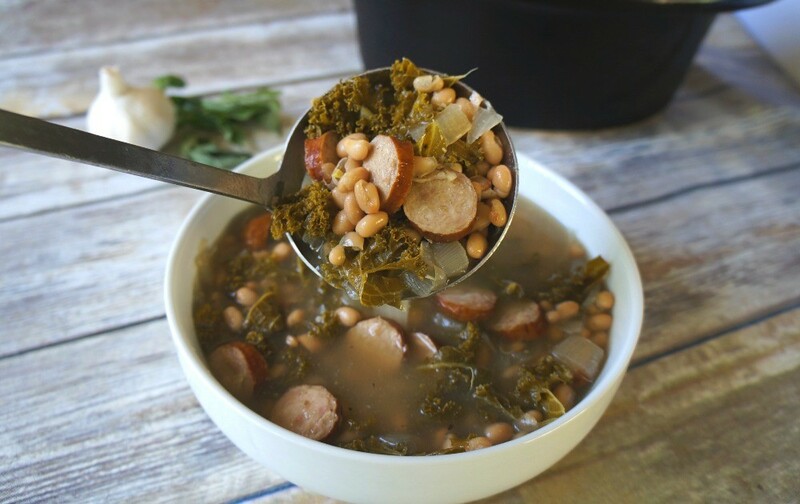 Try our slow cooker chicken sausage kale and white bean soup recipe, it’s super easy to throw in all of the ingredients in the morning and have a healthy meal ready when you get home! Start by draining the beans, slicing the sausage, dicing the onion, and mincing the garlic. Wash kale leaves and chop into small pieces, making about 2 cups. Once all ingredients are prepped, add everything to your slow cooker. I used my chicken broth cans to measure out the correct amount of water. Stir until combined, cover, and cook on high heat for 3-4 hours. Ladle into bowls and serve with your favorite crackers or dinner rolls. I told you this was an easy recipe! 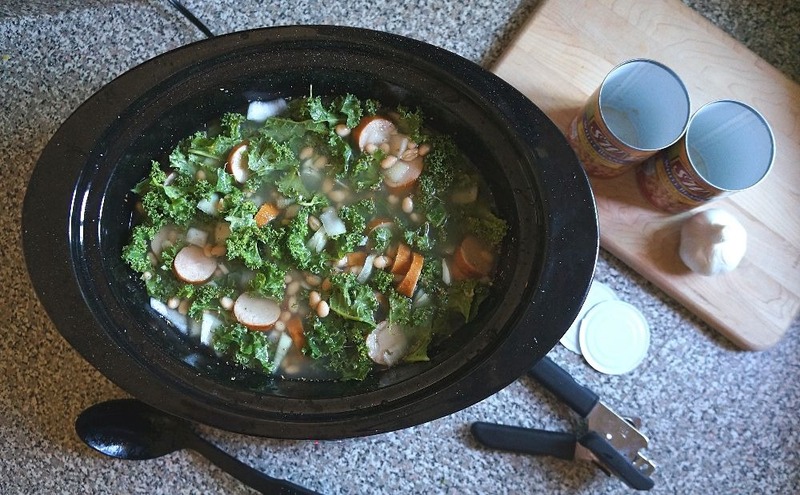 We just love this sausage and kale white bean soup recipe, and I am totally into the fact that it is healthy and super easy to make. S&W Beans has been offering premium high quality beans for over 120 years. 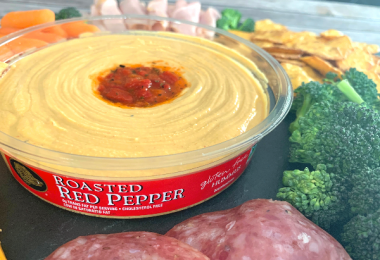 They make tons of varieties of beans that look great and taste great, including kidney beans, black beans, pinto beans, garbanzo beans, cannellini beans, chili beans, and organic and reduced sodium options. I chose to use the 50% reduced sodium white beans for this recipe, and I am glad that I did. 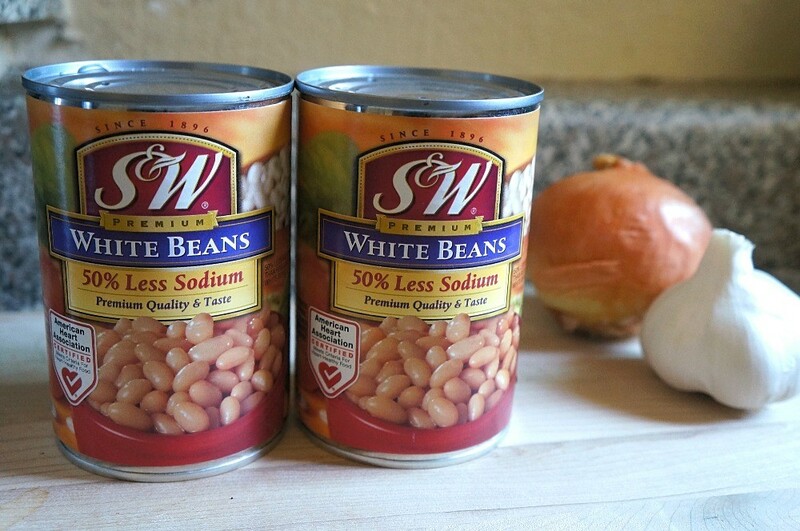 You can save time this fall making easy healthy weeknight dinners with S&W Beans. Save on your next purchase of S&W Beans with this coupon good for $1 off 2 cans through December 31, 2017, print it here at the S&W Beans website. 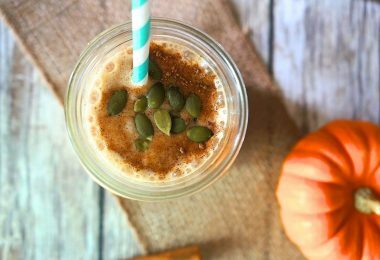 For more information and great recipes using beans, visit S&W Beans online and follow along with their Twitter, Facebook, Instagram, and Pinterest pages! 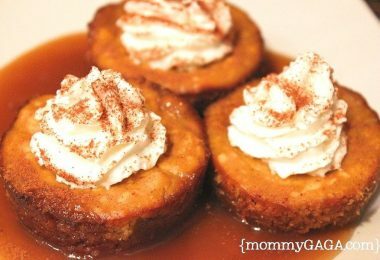 Bookmarking this recipe to try out asap. I’ll probably add celery and carrots because, why not?